Alumni Jessica Arreola graces our Alumni Spotlight, this week! 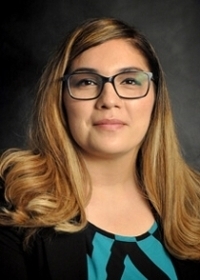 Jessica graduated in 2016, with an MA in Southwest Hispanic Literature, and is currently pursuing a law degree. She credits Spanish as an inspiration to help and serve her community. “I graduated in 2016 with an MA in SW Hispanic Literature. Shortly after graduation I worked with two local immigration attorneys here in Albuquerque. My MA degree became an invaluable tool when it came to understanding the legal community I was helping. I was able to connect to our clients in a way that I would not have been able to had I not received this education and training. While working, I realized that my calling was to go to law school. I am currently a first-year law student at the University of New Mexico School of Law. I wrote my admissions personal statement for law school about my time with the Spanish and Portuguese Department. My MA degree opened my eyes to the many injustices that occur day in and day out. This degree also helped me empathize with my community and helped me realize that I had what it takes to help others. Being a Teaching Assistant has been one of the most rewarding jobs I have ever done. I was able to talk to students who were first generation college students. I met with many students who did not think they could do it because no one in their families knew what college was about. I felt amazing knowing that I was able to guide them in some way to keep going.